Hobby Lobby case finally settles in a landmark decision that centers on business owners’ religious convictions and workers’ access to contraception through company provided healthcare benefits – the Religious Freedom Restoration Act (RFRA) prevails. This is most relevant to small, family-owned businesses, and that is very clear in the decision. Healthcare jobs, as with any job, can be conditional on passing the drug screen, but considerations have to made for candidates who are unable to provide an adequate specimen for a urine-based drug screen. Those considerations should include options like blood tests or hair tests. In this case, because no reasonable accommodation was provided to an applicant unable to take a drug test, the prospective employer was required to pay $30,000 in a settlement. The recent settlement to the tune of $3 million is noteworthy because it provides financial redress for people who didn’t actually experience identity theft. The ruling cited negligence, breach of contract and “breach of fiduciary duty” when two laptops were stolen that held unencrypted personal data. 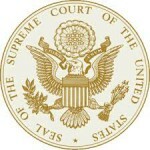 AND another lawsuit ushers in the prospect of plaintiffs who have no demonstrable financial damages to support their case – apparently Spokeo published inaccurate information about the plaintiff, and the Ninth Circuit Court of Appeals found that Spokeo’s potential violations of the FCRA were enough to allow the case to continue. It’s not settled yet but it looks to be eventful.